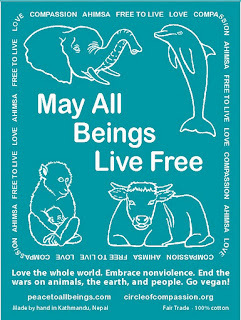 I send out a weekly update to the Prayer Circle for Animals. This message went out today on Martin Luther King Day. If you would like to sign up for these updates and/or join the Prayer Circle for Animals, please click here. As animal liberationists, we confront the evil of speciesism with the power of love. We all know that racism is still with us, but it has diminished significantly because of the courage of those who could see and speak the truth. The fact that racism has diminished is a beacon of hope for us. 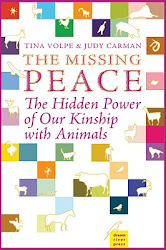 In the same way, we are seeing speciesism begin to be understood by people and the number of people transforming their lives to vegan nonviolence increasing. Just as MLK taught that we must be nonviolent and compassionate to all people, we are taking the next big step in human consciousness evolution and expanding the circle of nonviolence and compassion to include all beings. On another note, our campaign to free the Topeka Zoo elephants is still on. We have erected two billboards in Topeka, KS, and they are causing quite a stir. Please pray for Tembo and Sunda that they will finally be set free to The Elephant Sanctuary. There is a lot of information on www.elephantfreedom.com, including a “how to help” page. Tembo and Sunda need your prayers, and I believe they will be able to feel your love surrounding them.